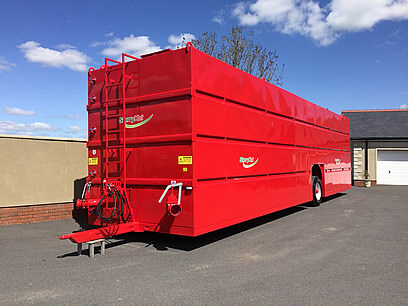 Mobile Nurse tanks can be used for a number of reasons in the spreading and handling of slurry or digestate. 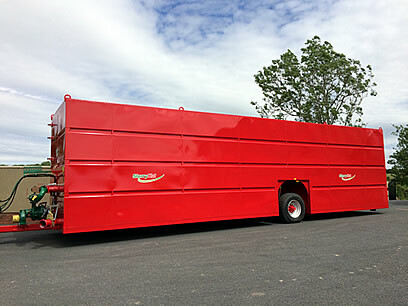 At SlurryKat we manufacture various sizes of mobile tanks to suit your individual needs. 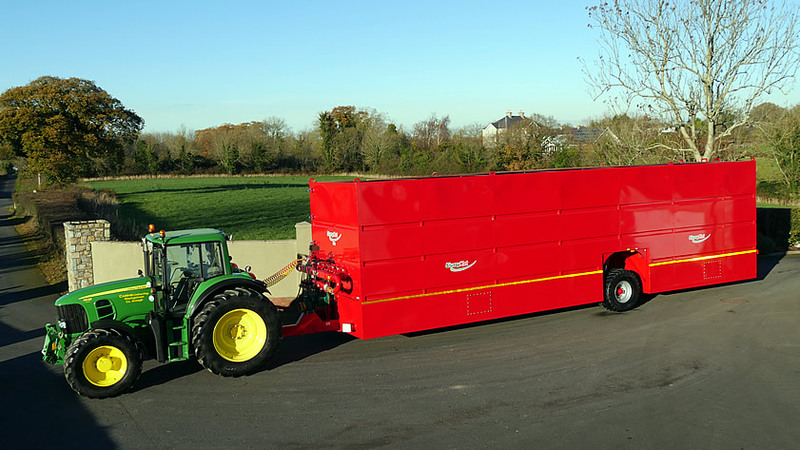 These SlurryKat pioneered tanks are extremely effective for umbilical slurry spreading applications where the land is not accessible from the slurry storage source on the farm or the AD plant. 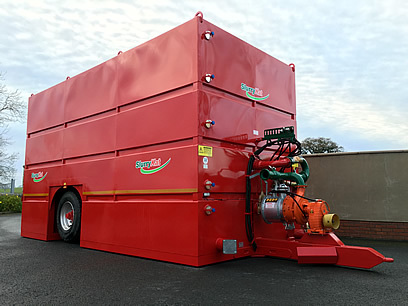 This means that the slurry can be transported from the farm or biogas plant by road haulage trucks or tankers and discharged into the mobile nurse tank. 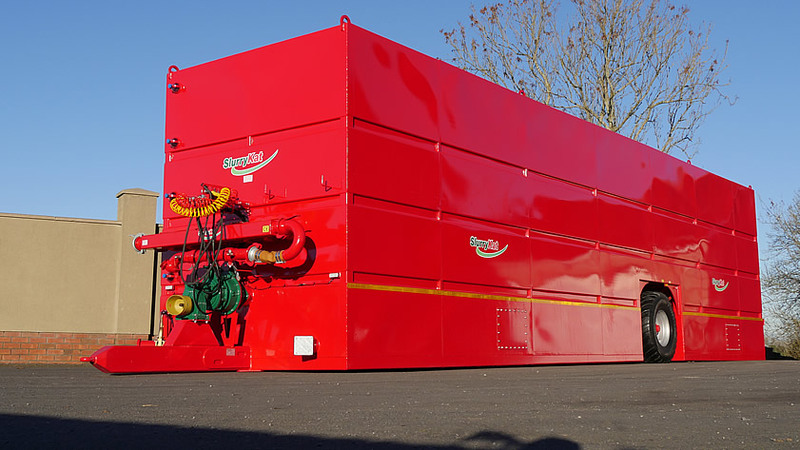 The tank then acts as a buffer for the umbilical spreading system allows it to continuing to spread between the tankers loads arriving at the site. This is particularly important when spreading slurry onto cereal crops where “stops” in the spreading operation can lead to irrecoverable damage to the growing crop. 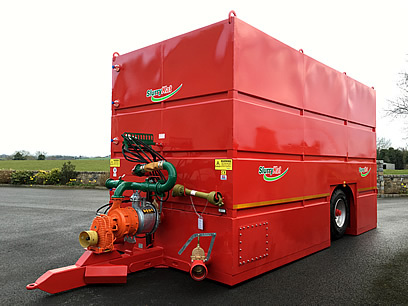 (Pictured Above) Jet mixing system for use in “sand laden” slurries or certain pig manures with high sediment content can settle and cause blockages or build up in the bottom of the tank. Each area or section of the tank can be aggressively or gentle agitated individually or collectively, depending on the amount of mixing required. 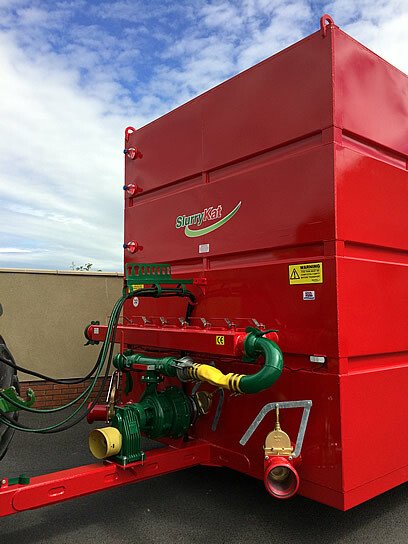 This totally unique mixing system pioneered by SlurryKat means there are never and issues with difficult slurries or liquids settling or blocking and causing problems in the tank during operation.